Josh comes to Profile after having previously served in senior staff positions at two important theaters in New York, MCC Theater and WET. While at MCC, he commissioned new work by Terrence McNally and John Guare, dramaturged Tony-nominated plays by Bryony Lavery and Neil LaBute, and created and ran the Playwrights Coalition, developing new plays by some of the most honored young playwrights of the last decade including Stephen Adly Guirgis, Lucy Thurber, David Adjmi, Adam Bock, Itamar Moses and many others. At WET he developed new work by some of our most prominent female playwrights including Anna Ziegler, Melissa James Gibson, and Kate Robin. He has consulted with the Lake George Theatre Lab and the Great Plains Theatre Conference, helping them expand their programming and community engagement initiatives. 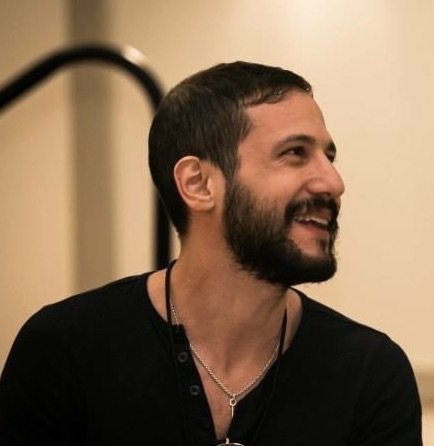 As a freelance director, Josh’s work has received the Drama Desk Award for Unique Theatrical Experience, Festival First awards at the Edinburgh Festival Fringe and Dublin Arts Festival, and has been nominated for the IRNE Award (Boston) and the GLAAD Award (New York). Productions have been seen at theaters around the country including the Guthrie Theater, the Humana Festival of New American Plays at Actors Theater of Louisville, the Berkshire Theater Festival, the Kennedy Center, No Rules at Signature Theater Company in DC, and in New York at MCC Theater, the Cherry Lane, the Duke on 42nd Street, The Culture Project and the Obie-winning collective 13Playwrights, among others. He has continued to develop dozens of new plays at theaters and play development centers across the country. As an educator, Josh has been on the faculty of the New School for Drama’s MFA Directing program, Fordham University’s MFA Playwriting program and Purchase College, SUNY’s esteemed BFA Dramatic Writing program, in addition to guest stints at The Juilliard School, NYU, Carnegie Mellon, the University of Minnesota and others. His writing has been seen at the Kennedy Center in a collaborative piece created with National Medal of Honor winner Ping Chong, at the Duke on 42nd Street, the Flynn Center in Burlington, VT and the Round House Theater, and has received the support of the Jerome Foundation. Josh will arrive at Profile Theatre to launch Profile’s 2017 Quiara Alegría Hudes Season. “I’ve been a fan of Quiara Alegría Hudes since seeing Elliot nearly a decade ago,” says Josh. “I find her plays profoundly optimistic in world-view, without ignoring the complicated, often painful realities of our lives. They seem to suggest that human connection is the salve that can begin to heal even the biggest traumas.” He will direct the rotating repertory productions of Water by the Spoonful and The Happiest Song Plays Last running November 1-19, 2017.